Our aim is to create wealth for our shareholders by developing into profitable mines the gold and base metal deposits that the Company has discovered or acquired in a cost-effective manner. Since KEFI Minerals was formed in 2006, we have rapidly evaluated and relinquished a number of exploration properties as well as acquiring new projects. 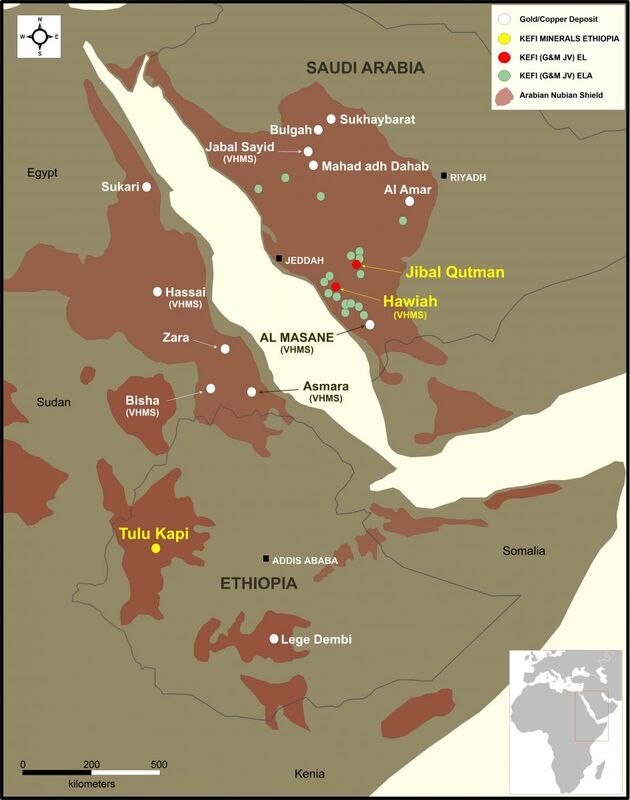 The highly prospective Arabian-Nubian Shield has been the Company’s primary focus since 2008 when it commenced exploration activities in the Kingdom of Saudi Arabia. Our prudent approach is exemplified by the cost-effective acquisition of the Tulu Kapi project in the Democratic Republic of Ethiopia in late 2013. The £4.5 million cost of acquiring 75% of this advanced project equates to only $10 per reserve ounce and provides the information collected from historical expenditure of more than $50 million. In September 2014, KEFI Minerals acquired the remaining 25% of Tulu Kapi for £750,000 and 50 million KEFI shares. KEFI Minerals is now positioned as the operator of two gold development projects as well as a cost-effective explorer of its portfolio in the highly prospective Arabian-Nubian Shield. With the appropriate mix of technical and financial expertise, the Company is prudently progressing its projects into profitable gold production with the aim of returning value to shareholders.